Naauao was tasked with creating the brand identity, messaging, signage, collateral, merchandising, web design, and advertising. 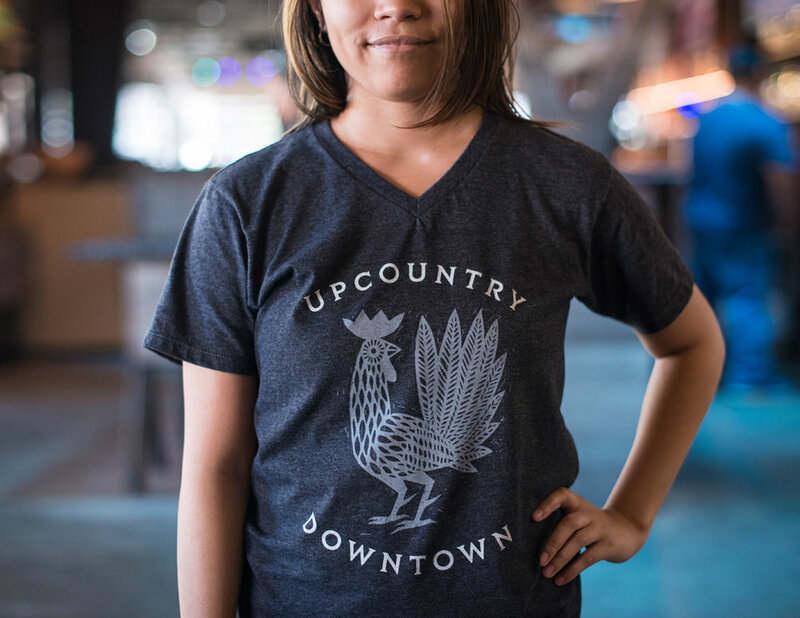 The logotype alludes to the rooster’s feathers and is two-toned to represent the duality of their theme. We collaborated with artist Kamea Hadar to create a mural based on the theme of Upcountry Downtown. Kamea paired similar dualities with his mural contrasting traditional vs. modern, cool vs. warm, Hawaiian prints vs. spray paint, and leaves vs. camouflage. The rest of the brand elements are colorful and fun, and aim to capture the lively atmosphere of Hawaii’s Best New Restaurant (2018 Hale ‘Aina Award), and favorite gathering place for elite foodies, families, or people seeking an authentic taste of Hawaii. After all, no man is an island.